The reason I chose this puppy and baby to draw today is because I saw photos of each posted separately by different people on Facebook. When I see photos that evoke some type of reaction from my mind I usually screen shot them and keep them in a folder on my desktop titled "Inspiration". Today I wanted to draw things I don't usually draw to get some practice. When I opened them larger on my screen side-by-side they were sitting almost identically! 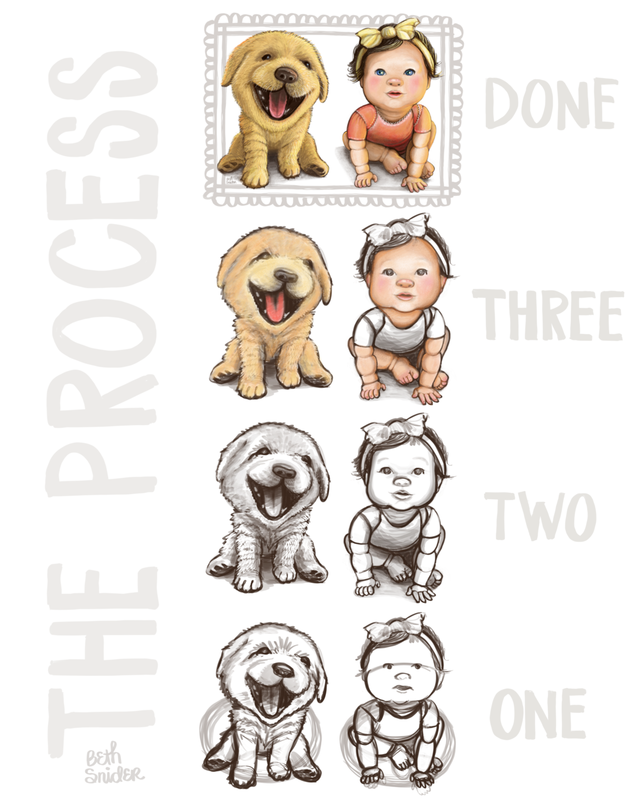 The process took me around 4-5 hours of work and I captured the process as I drew! One thing I am learning is that I might have to cut down the detail in these daily pieces because I am not sure I can dedicate so much of my day to this! I am also a huge perfectionist. I feel like I need to come up with a finished looking project and sometimes the sketches are the best part! When I began, I literally cleared my schedule for an entire month to do this challenge. And the REAL challenge is that I get to know what it's like to hire myself!